In a fish’s world, being unable to right ones-self may be a sign of a swim bladder problem commonly referred to as “Swim Bladder Disorder”, “Swim Bladder Disease” or “SBD” for short. In simple terms, the swim bladder is a gas filled sac located in the betta’s body, posteriorly (toward the tail end). You can usually see it bump out slightly on most Bettas. The swim bladder works very similarly to a SCUBA diver’s BCD (buoyancy control device). When a diver wants to be more buoyant, he fills his vest with air and releases air when he wants to descend. In fish, it’s a little more complicated but you get the basic idea. SBD is probably caused by overfeeding most often in Bettas. Feeding too much food or foods with a very low moisture content (Betta pellets) may cause pressure in the abdomen cutting off a Betta’s ability to regulate the gasses in the swim bladder. This becomes apparent when the fish can no longer swim upright in the water. The excess food in the stomach may also show itself in the form of bloating around the abdomen like you described. Usually, the easiest fix for this is to fast your Betta for a couple of days until the food passes and the fish is able to regulate the swim bladder again. Once he is back to normal, closely monitor his feedings, making sure only to feed a few pellets a couple times a day. It’s also recommended when feeding dry foods that you soak them in a cup full of tank water for about 10 minutes prior to feeding to allow them to swell to their true size before entering the Betta’s digestive track. 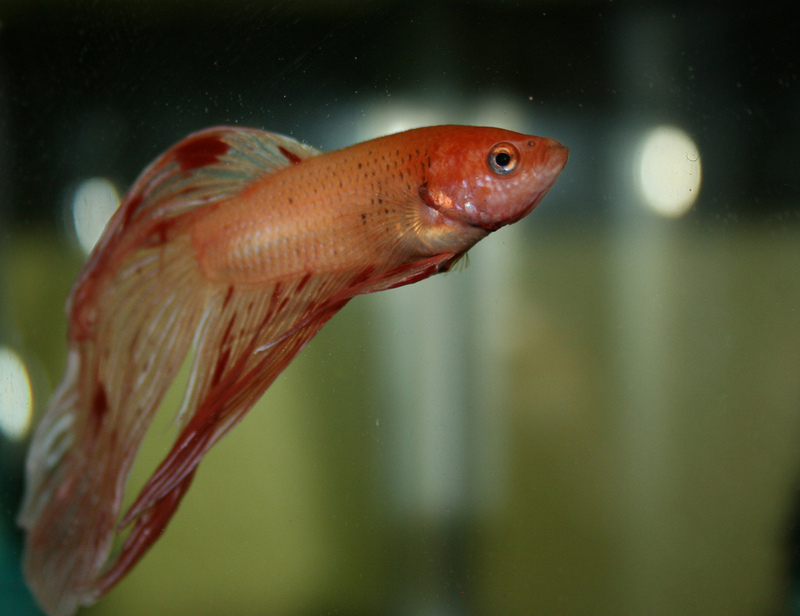 Some Bettas are prone to bloating and constipation and may benefit from a diet of mostly live or frozen foods of which a variety are available commercially. A bacterial infection of the swim bladder may also cause the symptoms described. If you don’t find thatthe Betta is back to normal after a day or two of fasting it may be necessary to treat the fish for the infection using a wide spectrum antibiotic available at most local fish stores. Because antibiotics can cause additional stress to fish, it is recommended to only use them if an infection is strongly suspected. Other signs of infection include lethargy, color loss, loss of appetite, redness under the scales (septicemia) and other secondary infections. On some occasions Bettas won’t fully heal from their swim bladder disorder and may continue to experience problems righting itself. As long as the fish is able to draw air from the surface and can still eat there is no reason that it can’t continue to live out a full life. Euthanization is rarely needed. You can make your Betta more comfortable by keeping him in a tank away from fin nipping fish or fast swimming fish that may agitate him. Adding some floating plants or other decor may help him rest near the surface when he wishes.